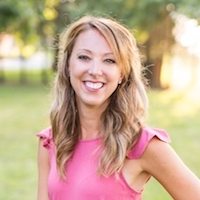 How to Paint Baseboards on Carpet - Sincerely, Sara D.
I have created several different wall paneling treatments to our home, and I usually end up painting the baseboards to match the wall. Unfortunately many of the baseboards are on carpet (which can be tricky to paint), but I have figured out how to paint baseboards on carpet. To begin, run the packing tape next to the baseboard – overlapping it so that there is some tape to stuff under the baseboard. The putty knife makes it easy to line the underside of the baseboard with packing tape. 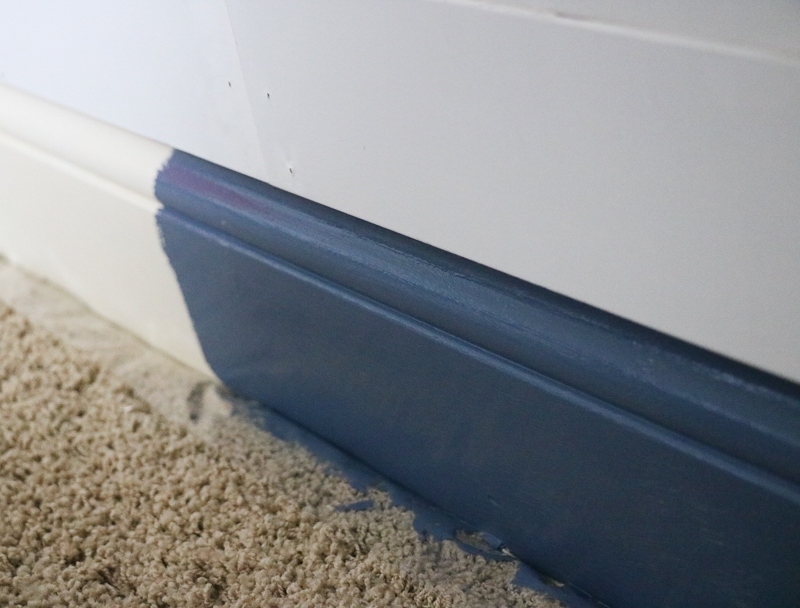 There typically is a decent gap between the baseboard and the carpet that you will see once you are able to push down the carpet (and push back the packing tape). 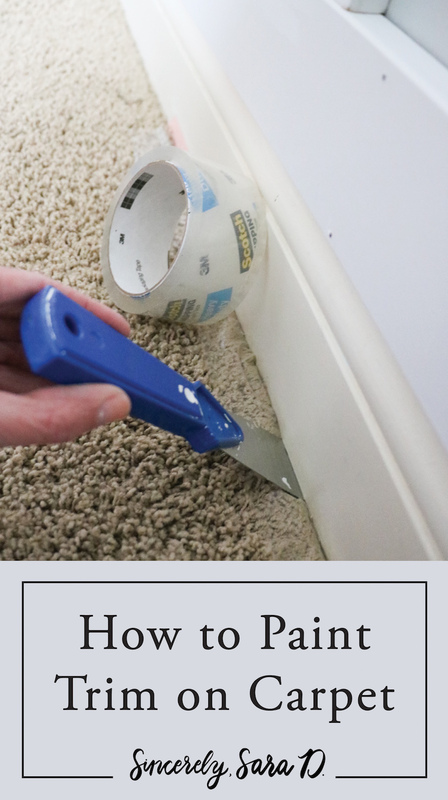 To better protect the carpet, run another strip of packing tape next to the first and add a tarp to avoid paint splatters (which will happen no matter how careful you are). Allow the paint to dry completely before attempting to remove the tape (I suggest two coats of paint and primer if needed). 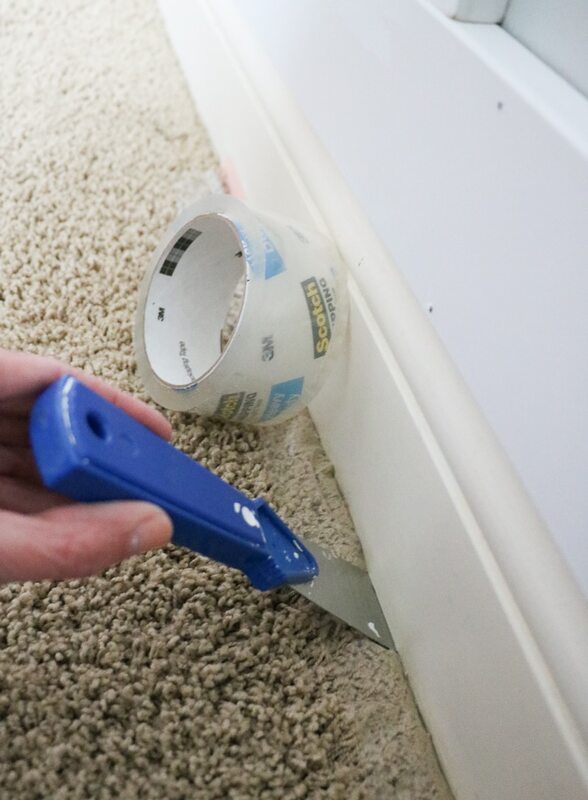 Painting baseboards on carpet is so easy with this painting technique! 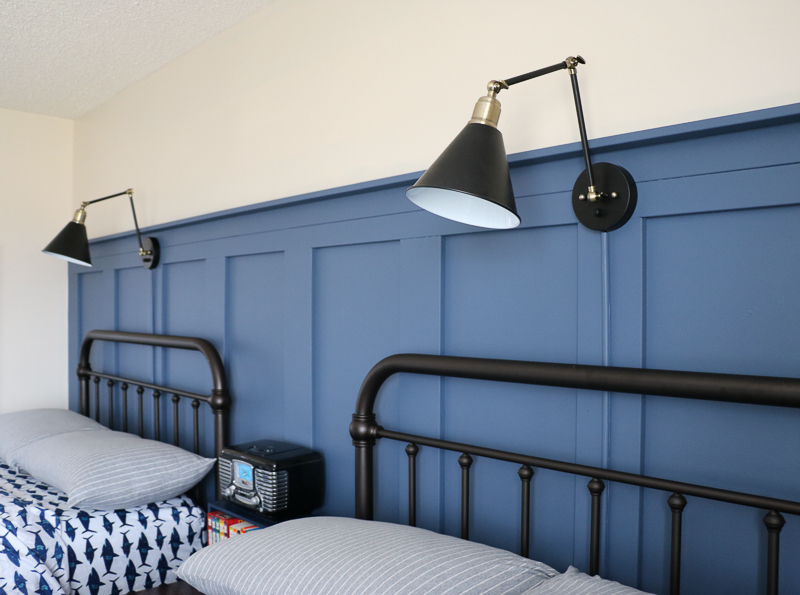 Want the full tutorial for this wall treatment I did in my boys’ room? This board and batten cost me less than $100, and it makes such a nice statement in the space! Go here for the full tutorial! Check out this other DIY wall treatment in our home. 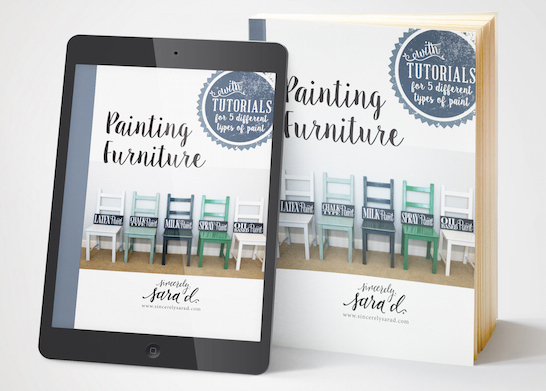 Want to see more DIY project tutorials and ideas?! GO HERE! Genius. I love this idea. That wall is stunning too.